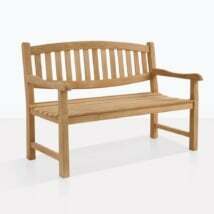 Looking for quality and comfort? 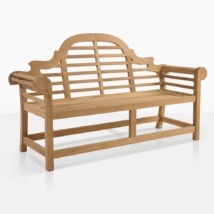 Look no further than the classic Garden Bench! 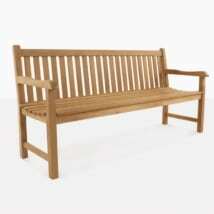 Our Garden 2 Seat Teak Bench has been a long running favorite at Teak Warehouse since we opened our doors! 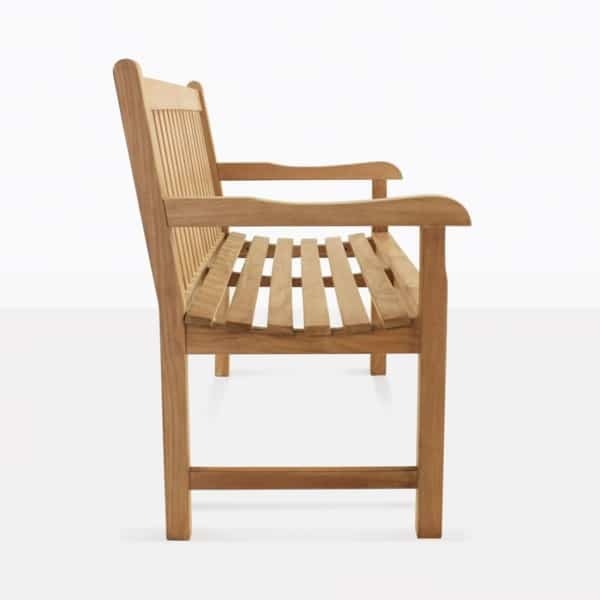 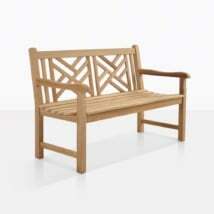 L51" x D24" x H36"
Simple and elegant, with solid, substantial cuts of A-Grade Teak; the Garden Collection is modeled off early 19th century outdoor furniture, the look giving off an English garden or country farm feel. 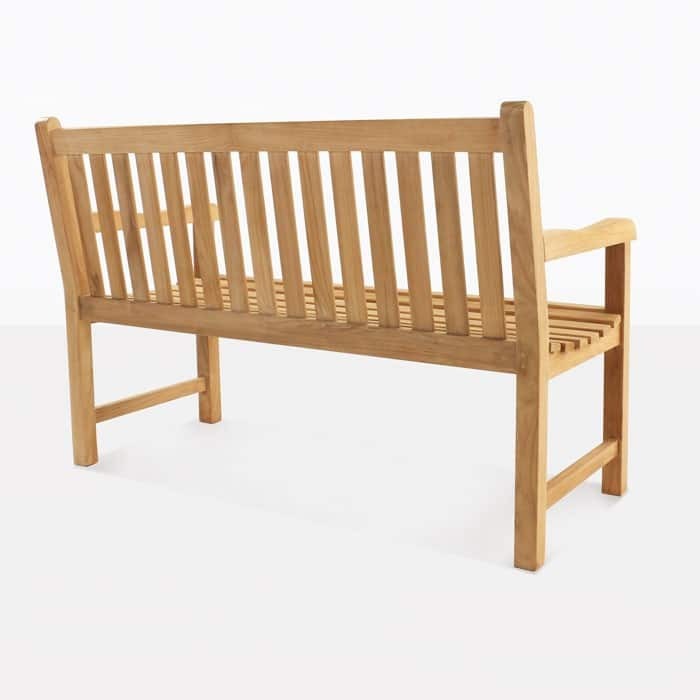 As well as the wonderful Garden 2 Seater Bench, this collection also sports a 3 Seat Teak Bench and Garden Arm and Side Chairs; giving you many options to create a setting that works for your space. 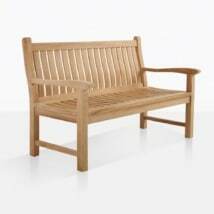 Purchase a 2 and 3 Seat Teak Bench for one corner of your space, and in the other corner place one of our Large Hampton Teak Tables, lined with Garden Side Chairs and a Garden Arm Chair at either end; a look that is pulled together by the seats and of course by the hefty, wonderful A-Grade Teak! For something slightly more modest, purchase the Garden 2 Seat Teak Bench for your porch and place a Small Nest Table on either side for a wonderful spot to watch the world go by after a long days work. 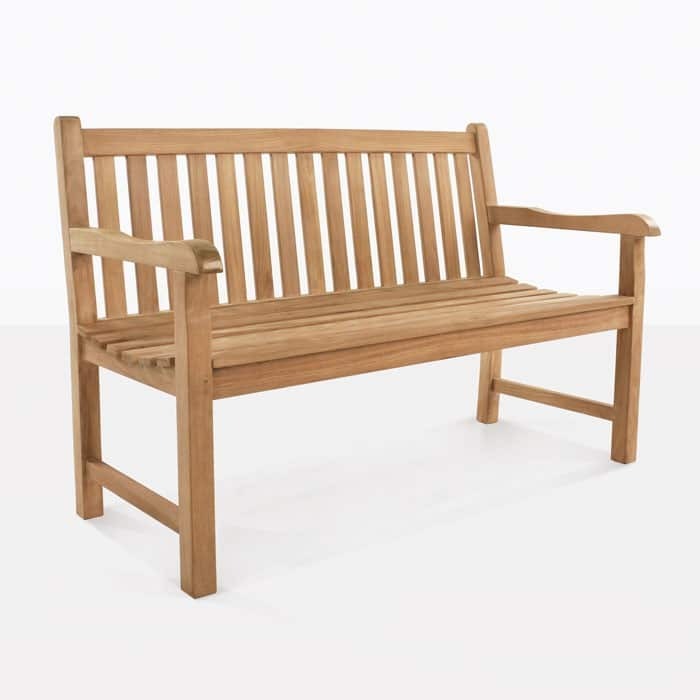 A classic addition to any outdoor living space, this solid A-Grade Teak garden bench comfortably seats 2 people and is available now!